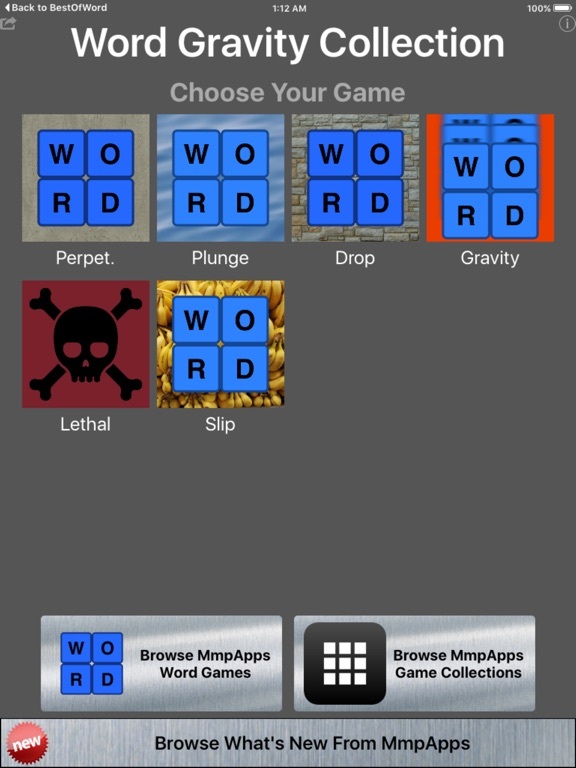 WORD GRAVITY COLLECTION is a 6-in-1 word game collection all driven by gravity. Totally free. No in-app purchases!! 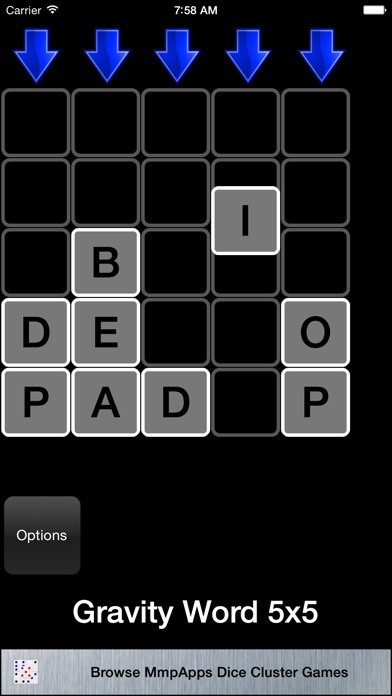 PERPETUAL WORDS - Pick words from a grid of letters. After the word scores it will be removed from the board and the remaining letters and replacement letters will fall into place and the game continues. 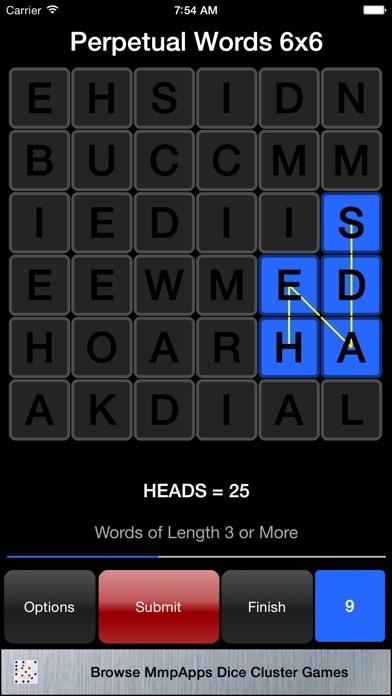 WORD PLUNGE - Fill the top row with five letters. When full the top row will fall onto the play field. The bottom row will then be complete and will score. 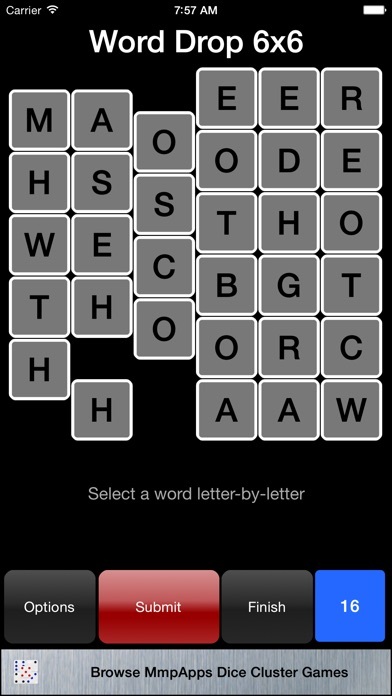 If you score > 0 the bottom row will disappear and the remaining letters will fall into place. =If you fail to score > 0 the bottom row will BLOCK. GRAVITY WORD - One-by-one DROP random letter tiles into a grid. Every word of two letters or more in any row or column will score. 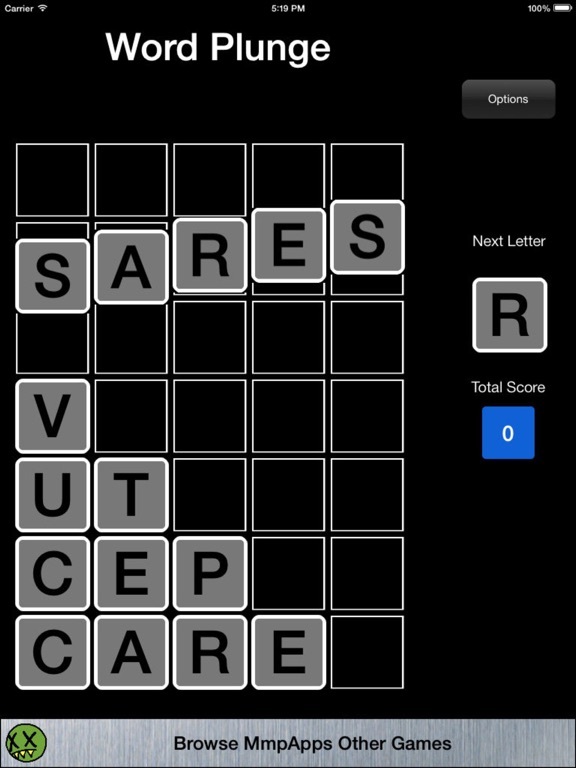 You also get bonus points for scoring multiple words in the same row or column. 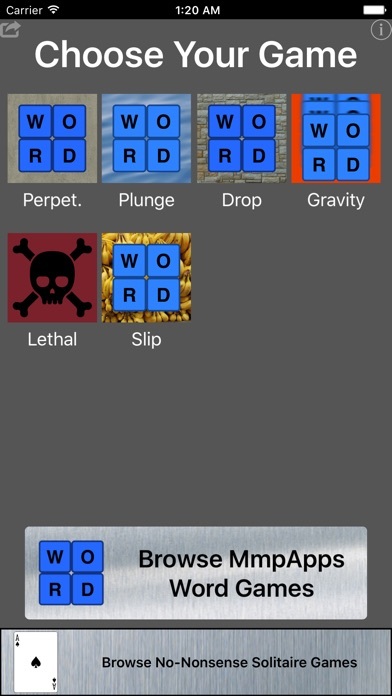 LETHAL LETTERS - Like Perpetual Words except red letters are deadly and you must you them before they hit the bottom or the game is over.